When the water heater goes out, it can be miserable for the whole family. You are all now stuck with cold water that can be miserable for cooking, washing, cleaning the house and so much more. While this may be a machine that you ignore most of the time, it is one that you should concentrate your efforts on a bit more. This will help you to keep the water heater working best and can save money on water heater repair. If your water heater does break and you need some repairs done, make sure to call in the professionals to help you out. 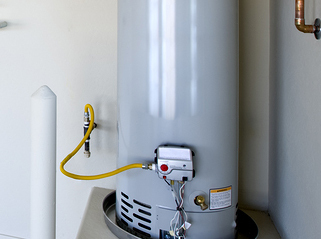 There are a few options that you can make for water heater in Chandler, AZ replacement. The first one is to go with the tank water heater. These are quite large and can take up a lot of space in your home. They work by filling up a large tank full of water and then keeping that warm. It provides a limited amount of hot water and when the drum empties, you have to wait for it to heat up again before getting the hot water. It is not the most efficient and can really drive up your utility cost. On the other hand, you can choose a tankless water heater in Chandler, AZ. These are easy to install with the help of a professional and won’t take up as much room. You will like that there is more hot water available since this doesn’t rely on a tank to heat the water; instead the water is heated when it goes through the water heater. This saves you money, provides you with more hot water at a time, and the machine won’t take up as much room as the tank option.